The White Sox took down Jose Quintana and the visiting Cubs as big underdogs on Friday. They'll try to do it again on Saturday with Lucas Giolito on the mound against Jon Lester. The White Sox took down Jose Quintana and the visiting Cubs as big underdogs on Friday. They'll try to do it again on Saturday with Lucas Giolito on the mound against Jon Lester. The White Sox jumped on Quintana early with a Kevan Smith three-run homer in the second, responding to a leadoff homer by Daniel Murphy. Daniel Palka's two-run shot off Dillon Maples made it 6-1 in the sixth, and was essentially the game. __MORE:__ [Who should be on Cubs postseason roster? ](https://www.betchicago.com/cubs-postseason-roster-david-bote-addison-russell) ## [Odds: Cubs (89-64) -200 at White Sox (61-92) +180](https://www.betchicago.com/mlb-betting/coverage/8ca38a11-9c46-42dc-b33c-9a79c1e89439); Total: 9 (OVER -115) __Pitching preview:__ Cubs LHP Jon Lester (16-6, 3.43 ERA; 4.40 FIP) vs. White Sox RHP Lucas Giolito (10-11, 5.77 ERA; 5.55 FIP) 7:10 p.m. ET/6:10 p.m. CT Lester has righted the ship since his abysmal start to the second half, when he allowed 17 runs in 13 2/3 innings over three starts. The Cubs have won five of his last six starts, and, in the one loss, he only allowed three runs in 5 2/3 innings. Also, away from Wrigley Field this season, Lester is 10-2 with a 2.82 ERA. 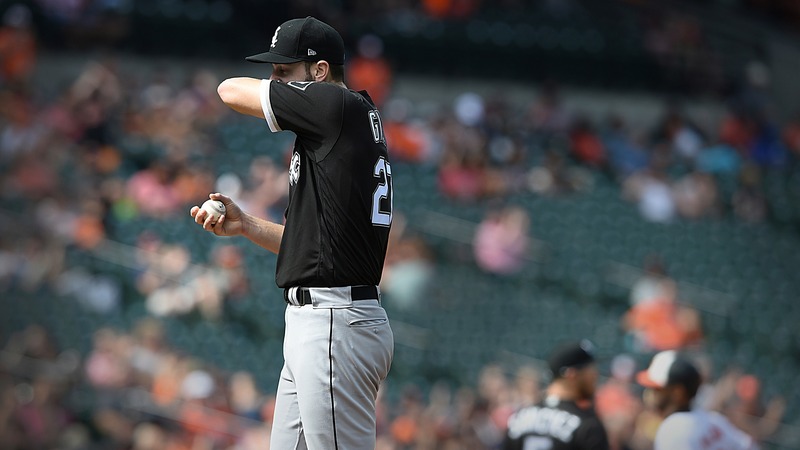 Giolito has followed a successful stretch with more struggles. The Sox had won seven of eight starts, but are now riding a four-game losing streak when he pitches. In his last three starts, he's struck out seven and walked six in 14 1/3 innings. He leads the league in walks, with 83 in 165 1/3 innings. While Lester has thrived on the road, Giolito is awful at home, with a 7.91 ERA. __Play and win:__ [Crosstown Classic Challenge](https://betchicago.chalkline.com/games/cubs-whitesox-mlb) __Trends:__ The Cubs are 38-25 (60 percent) against the run line after a loss. The White Sox are 20-33 (37 percent) as a home underdog.